Al Gore, the former vice president whose documentary film about global warming won an Academy Award this week, is defending his energy use after being slammed by a conservative group that claims he isn't "walking the walk" of an environmentalist. 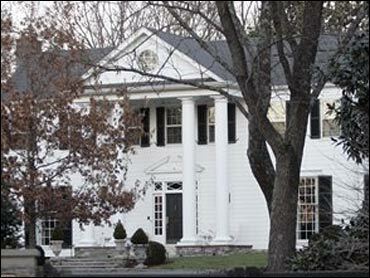 The group accuses Gore of using too much electricity to power his sprawling Nashville mansion. A spokeswoman for Gore said the former vice president invests in enough renewable energy to make up for the home's power consumption. The spokeswoman said Gore purchases enough "green power" — renewable energy sources such as solar, wind and methane gas — to balance 100 percent of his electricity costs. "Sometimes when people don't like the message, in this case that global warming is real, it's convenient to attack the messenger," Gore spokeswoman Kalee Kreider said. Gore participates in a utility program that sells blocks of "green power" for an extra $4 a month. Gore purchases 108 such blocks every month, covering 16,200 kilowatt-hours and helping subsidize renewable energy sources. Gore's documentary film which chronicled his campaign against global warming, won two Academy Awards on Sunday.The following day, the Tennessee Center for Policy Research put out a news release saying Gore was not doing enough to reduce his own consumption of electricity. The group disputes whether global warming is a serious problem. "We wanted to see if he was living by his own recommendations and walking the walk," said Drew Johnson, president of the think tank, which pushes for conservative economic issues. The Gores used about 191,000 kilowatt hours in 2006, according to bills reviewed by The Associated Press spanning the period from Feb. 3, 2006, to Jan. 5. That is far more than the typical Nashville household, which uses about 15,600 kilowatt-hours per year. His Nashville home is more than four times larger than the average new American home built last year — about 2,400 square feet, according to the National Association of Home Builders. Last August alone, Gore burned through 22,619 kWh—guzzling more than twice the electricity in one month, according to the Tennessee Center For Policy Research's release. That is more than an average American family uses in an entire year. Johnson said it's unclear whether global warming is caused by humans, and he said the threat outlined in Gore's documentary is exaggerated. The think tank said that Gore used nearly 221,000 kilowatt hours last year and that his average monthly electric bill was $1,359. Johnson said his group got its figures from Nashville Electric Service. But electric company spokeswoman Laurie Parker said the utility never got a request from the policy center and never provided them with any information. Parker said Gore has been purchasing the "green power" for $432 a month since November. The Gore home is also under renovation to add solar panels, Kreider said. Gore also owns homes in Carthage, Tenn., and in the Washington area. Gore has said he leads a "carbon-neutral lifestyle." To balance out other carbon emissions, the Gores invest money in projects to reduce energy consumption around the globe, Kreider said. "For every ton of carbon they emit, he offsets that by doing investments in renewable energy sources," Kreider said. Johnson said those efforts were unconvincing. "In general, I applaud his efforts to reduce energy consumption, but if he is going to be a spokesman for global warming, he has to be willing to make the same sacrifices," Johnson said. Johnson said Gore's home has gas lamps lining the driveway, a heated pool and an electric gate, all of which would be easy to do without. Kreider confirmed that Gore's home has a heated pool and an electric gate, but noted that the gate is important for security and that the driveway has only one gas lamp. Focusing on Gore's personal electricity consumption misses the point of "An Inconvenient Truth," Kreider said, which is that governments and the public can work together to reduce emissions.